This week’s featured application comes to us from Steve Strachan of Central Coast Playgrounds. 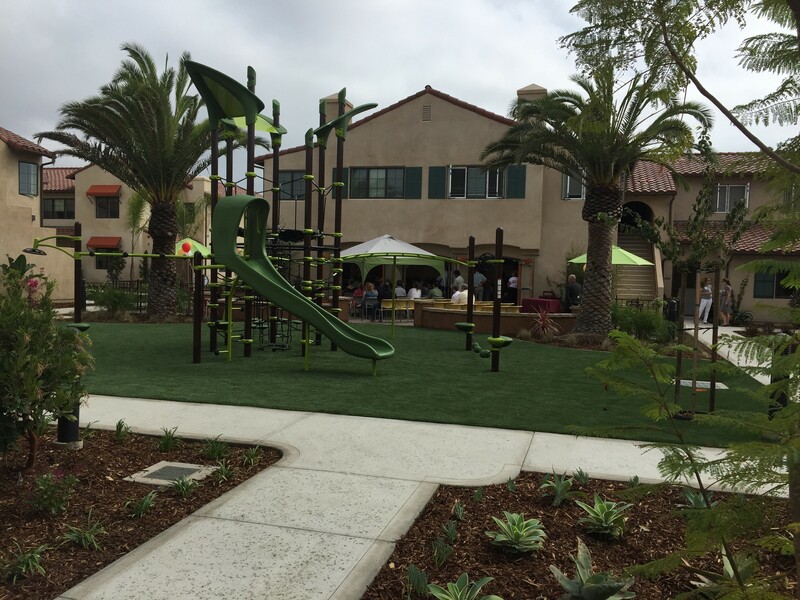 The project was for Peoples Self Help, a Non Profit affordable housing company and this site was located in Casa De Las Flores in Carpinteria, Calif.
As everyone knows California is in a serious drought, leading many home owners and businesses to choose synthetic turf. On this project they eliminated all grass and went with turf. Natural grass needs significant upkeep and requires copious amounts of water in order to in order to maintain a healthy appearance and feel. Synthetic turf does not require any of the typical lawn maintenance like mowing, watering or seeding. Playground sites have a large amount of traffic day in and day out. Clients love the SoftLawn EZ Play®, and by looking at the list below it is easy to see why.